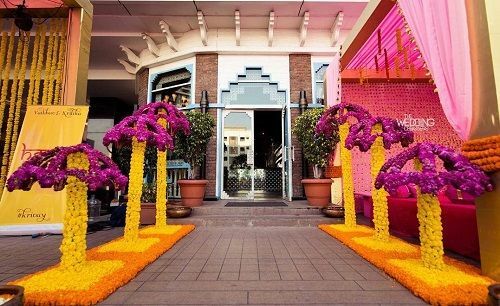 6 Pretty Ways To Decorate The Entrance Of Your Shaadi Venue! 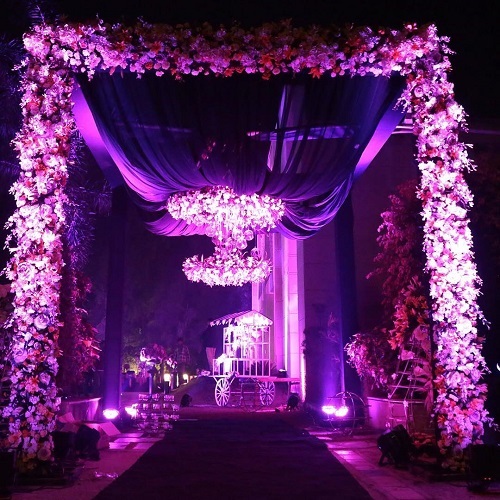 The entry to your wedding venue should be done up for maximum impact. After all, it’s the very first thing that guests lay their eyes on and it also sets the tone for what awaits ahead. From elegant and understated to elaborate royal setups, there is a lot that’s hot and happening this season. Check out these 6 weddings and their fabulous entryways! 4. Welcome to the fairyland! 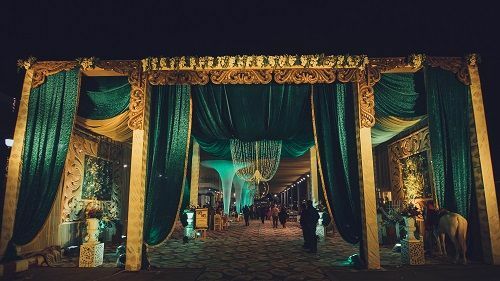 Glamorous and grand in more ways than one, this one makes me want to plan my wedding all over again! 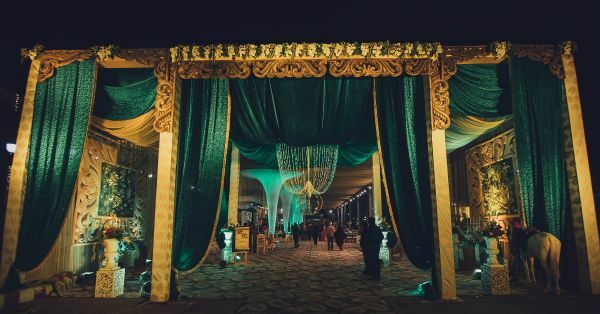 Long elaborate drapes and curtains in a royal green shade. A delicate chandelier of jasmine strings and an intricate frame. Absolutely magnificent! An archway designed with garden fences! 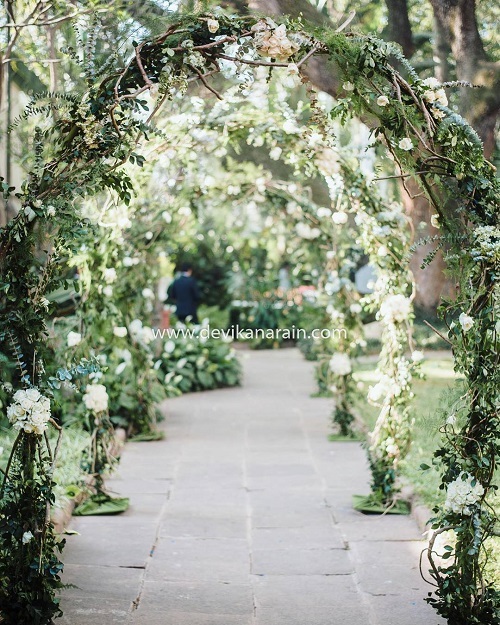 Strings of wild leaves are loosely twirled around the fences and bunches of white flowers hang from the top to give this engagement entryway an elegant and magical touch. Such a pretty picture, this! 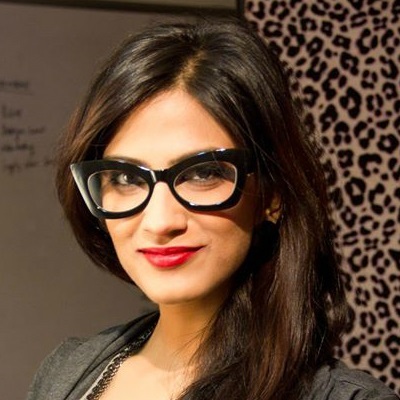 Image: Theeventdiaries on Instagram Featured Image: Sonder Frames HAVE A STORY IDEA FOR POPxo? If you want to hear about it, we can write about it! Just tell us your idea here! 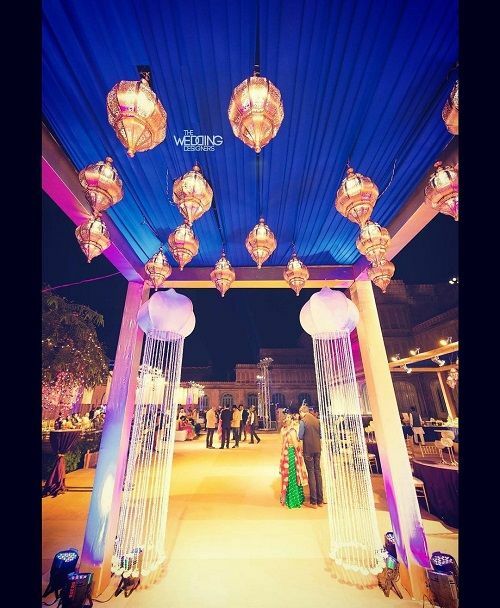 MUST-READ: 6 Gorgeous Mandap Ideas That Are *Perfect* For Your Big Day! 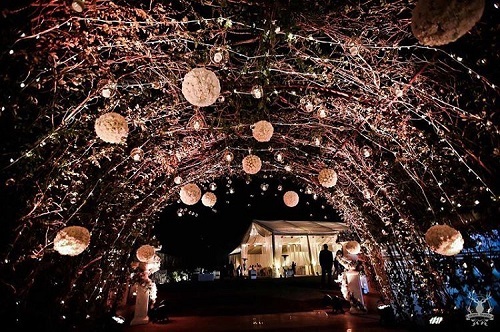 MUST-READ: 7 Gorgeous Ways To Use Lights & Fabrics In Your Wedding Decor!